Think about the best life skills you can learn—cooking, cleaning, communication, and ironing. Yes, you certainly read that right. Without this skill, it doesn’t matter how much your pay for your garments. In fact, even the type and quality of the fabrics you wear become meaningless without this skill. Bluntly put, do you really think anyone will find that £103 wrinkle-infested shirt attractive? Without ironing, those unsightly crinkles make any garment look cheap and ugly. So, it’s no surprise that you’ll want to find the right iron for the job. And to help you decide which is right for you, we’ve broken down the major differences between two of the most common irons you’ll find on the market. So read along with us, and learn what wins in the timeless debate between steam irons vs steam generator irons. 2 Do I Need a Steam Generator Iron? Steam generator irons have a high water capacity & steam pressure. These irons will flatten wrinkles with a professional-quality finish. In most cases, steam generator irons will cost quite a bit more than traditional irons. Generally speaking, these irons weigh quite a bit more than traditional irons. You’ll need to do more assembly before ironing—you’re working with three parts here (iron, water container, and a steam generator). These irons are built for ironing through gigantic bulks of laundry. The steam iron generator can produce more steam than the traditional iron. 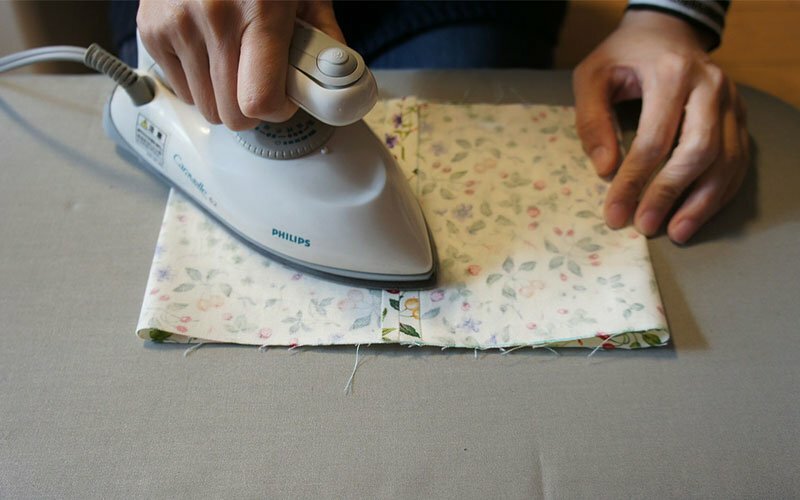 You can iron for hours without needing to stop and refill. The strong steam pressure removes wrinkles quickly. Steam generator irons heat up quickly. Steam irons are usually compact and easy to store. These irons also weigh quite a bit less than steam irons. You’ll save money since steam irons are much more affordable than steam generator irons. You won’t get as much steam power out of these. Steam irons offer a smaller water capacity than steam generator irons. These irons take quite a bit more time to iron larger loads. You can expect easy and fast start-up—fill with water, and you’re ready to go. Steam irons work great for ironing the occasional single garment or two. Do I Need a Steam Generator Iron? Are you the type of person who spends your entire Sundays ironing your whole family’s laundry? Then, note that a steam iron generator will cut that ironing time (and energy) in half. Part of this results from the higher steam pressures removing wrinkles faster. Also, that gigantic water tank means you’ll only need to stop for refills once or twice. But, on the other hand, if you only iron the occasional dress shirt once a month, then a steam iron generator might not be for you. In this case, a traditional steam iron will do the job just fine. The time you save won’t make much difference since it’s only one or two minutes. Plus the set-up is as simple as filling with water and waiting a minute or two—that’s it. Of course, steam irons are capable of ironing in bulk. You’re just spending more time and energy to do so. Here’s the other major factor—your budget. Note that steam iron generators will cost quite a bit more than the general steam iron. To put this into perspective—your top of the line steam generator irons can reach close to £500. Meanwhile, it’s pretty common to find good steam irons for less than £100. So this is a pretty substantial difference. The big question to ask yourself is this: Do you want to save time with money? If yes, then a steam generator iron will do that and then some. As we mentioned above, you can realistically iron a gigantic bulk of laundry in half the time as a typical steam iron. But for smaller loads of laundry, the price will definitely be difficult to justify since you’re not spending much time to iron as is. So, if you don’t mind spending quite a few pounds to save time and energy ironing, then you can definitely fit a steam generator iron into your budget. Lastly, ask if you actually have the space to store a steam generator iron. Keep in mind that these tools can get quite bulky — remember you’re storing three separate, and large, pieces here. So if you’re tight on space, you’ll want to look into the steam iron options. This is the feature that allows you to apply a short blast of extra steam power. In other words—this is great for those stubborn wrinkles that refuse to flatten. It’s also a great feature for any vertical ironing—you know, for those times you want to iron your curtains or hanging garments. Since steam generator irons produce more general steam, their steam boost will also shoot at higher rates—thus allowing you to remove wrinkles faster. And even with this in mind, it’s important to note that not all steam irons offer a steam boost option in the first place. When ironing, you’ll find that steam moistens and relaxes the fibres in your garments. So it’s no surprise that higher steam outputs accomplish this feat faster and more efficiently. As you might have already guessed, steam generator irons produce much higher outputs of steam than traditional irons. Thus, you won’t even need to make use of a steam boost feature in many cases since the steam iron generator does such a stellar job of removing wrinkles through their base steam output values. With this said, that doesn’t mean that steam irons fail in this category. This simply means traditional steam irons will require a bit more time to fully iron garments with as a result of the lower steam output. On one or two shirts, you won’t notice much of a difference. But with a massive load of laundry, you’ll find the steam iron generator will smooth out all wrinkles much more quickly because of the higher steam output. To compare numbers here, steam generator irons typically reach outputs of 100-120 grams of steam per minute. Meanwhile, traditional steam irons only net between 80-100 grams per minute on average. This value refers to how deep the steam will penetrate into the fabric of your garments. Again, this ultimately determines how quickly and efficiently the iron will flatten any stubborn wrinkles. Much like the other values, steam generator irons will typically release much higher pressures—usually around 5 bar—some can even exceed 7 bar. So you’ll find these irons will finish the job much more quickly. By contrast, traditional steam irons release around 3 or so bars of pressure. So the steam pressure is still far from bad—just expect slightly more time to smooth wrinkled clothing when compared to the higher bar pressure of steam generator irons. At the end of the day, there’s no denying that ironing is an essential skill for any adult. So to make full use of this, be sure to consider which type of iron works best for you. When it comes to saving time, there’s no denying that steam generator irons will ease the burdens of your weekly chores. But, don’t completely write off traditional steam irons. These irons still do a great job of removing wrinkles from your garments at a fraction of the price. All in all, carefully consider your ironing habits and lifestyle. If you make a choice based on these factors, there’s no way you can go wrong.